I’m really sorry for posting this really really late. I’ve been very bogged down by work. For those who didn’t attend: If you’re wondering what the stories are, they are not meant to be grammatically accurate, but to act as a means for the participants to remember the meaning of the words (in both the formulation of the story, and in guessing what the word means). 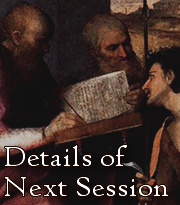 If you’re wondering where to find the texts for the Gospel of St. Mark, please refer to the Notes for Session 1. 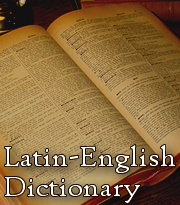 Note: In the slides, I have put English words above the Latin as a guide for translation. It is NOT an accurate translation.